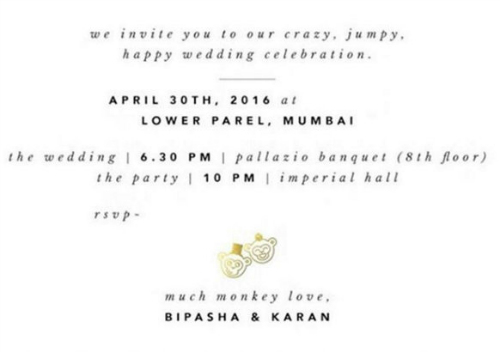 Bipasha & Karan's Wedding Invite Is Making Us Want To BE There! 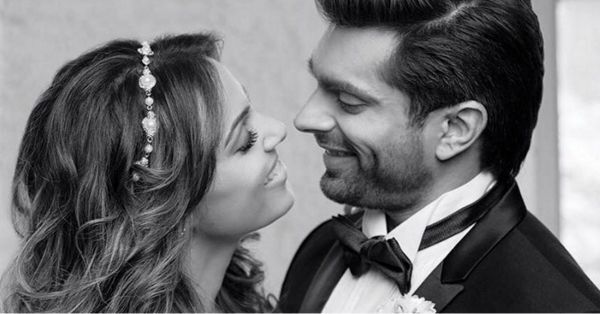 Wedding bells have started ringing for Bipasha Basu and Karan Singh Grover, the invitations have been sent out and 30th April is the big day. They did something very innovative for their invite, it's a video with pictures of their pre-wedding shoot with an invite message at the end of it. Read on to see why we can't wait for these two to get hitched! 2. The picture perfect moment for the love birds! Aren’t they just adorable?! 3. 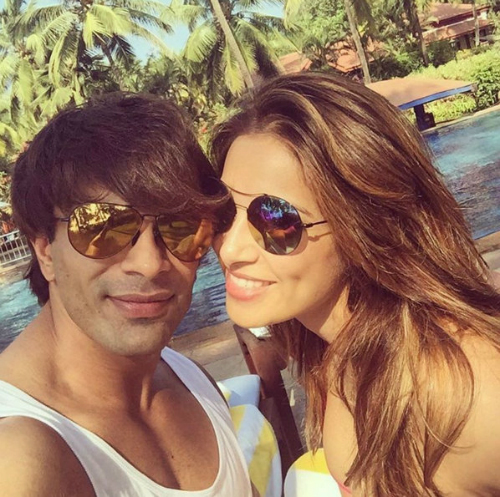 When they celebrated Karan’s birthday in Goa… We’re totally loving them! Image: Desimartini movies on Instagram MUST-READ: Everything You Need To Know About The Latest Bollywood Shaadi! MUST-READ: What You Need To Know About Urmila Matondkar’s Secret Wedding!